collab between me and my friend Lyndsay. she helped me with the bg over a period of 3 hours. enjoy. 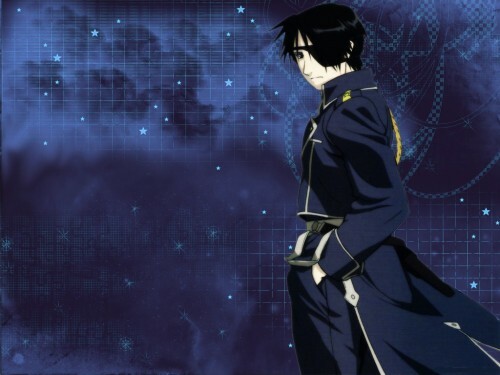 roy mustang is the best =D. You use photoshop cs2? keep your great work, sweetie! very somber but dreamy bg. looks great! background is veeery beautiful. Ir at background we added to Mustang... So... Wall perfect! good wall of "El alquimista de fuego"
Beautiful wallpaper, indeed. I love the Roy image you used. It fits well.